Episode 19 (not 18!) - The annual visit to Bay Hill Country Club outside of Orlando, Florida is always a pilgrimage to Arnold Palmer. 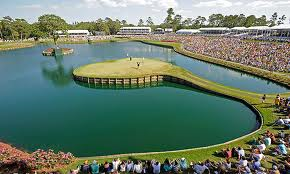 2018 will be no different with the likes of Jason Day, Justin Rose, Rickie Fowler, Hideki Matsuyama, Rory McIlroy, Tommy Fleetwood, Tyrrell Hatton, Henrik Stenson, Bubba Watson and Henrik Stenson in this week's field, you can see the regard that this tournament is held in. But this week will likely be all about Tiger Woods. An 8-time winner at Bay Hill, he guns for what could well be his most emotional win of them all, after finishing 2nd last week at the Valspar Championship. It would be TW's 80th PGA Tour win and his first first since 2015. Cheltenham Festival Bookmaker Offers: 2:46; Learnings from Last Week - Tiger, Beef and Matt Wallace: 5:27, Arnold Palmer Invitational Start: 18:03. This week see's the 2018 Cheltenham Festival and we have all of the best bookmaker offers recorded on a single page for you - promotions are correct at the time of podcast release.